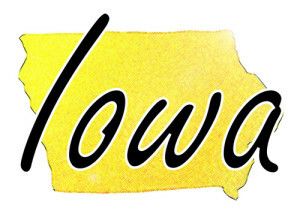 Iowa lies in a region sometimes referred to as the “American Heartland” and it seems that the people here are faring quite well in terms of financial resources. The economy here relies on a diversified combination between advanced manufacturing, financial services, information technology and biotechnology, as well as processing and green energy production. Although the unemployment rate in Iowa is situated lower than the national average, it still settles at close to 5% of the population. Here’s a gudie to free government cell phones for Iowa residents. More than 12% of Iowans, from Des Moines to Cedar Rapids and Davenport, live in conditions that are associated with poverty, which translates into over 370,000 individuals who cannot have a normal life due to financial difficulties. Extreme poverty is also present here, with a worrisome 5.4% of the population evaluated as living in a very precarious situation. As almost 29% of working families are only making a low income, it’s no surprise that 16% of the Iowan children are brought up in poverty. While the circumstances of their childhood are bad enough, the worst part is that most of these children never have real opportunities to change their lives and are ultimately forced to the same fate their parents had. To help them create and seize more opportunities, the Lifeline program has also arrived in Iowa. If you live in Iowa and face low income, then we are happy to throw a ray of hope into your life by telling you about this program which provides you with a free cell phone, as well as 250 free monthly minutes to go with it. In today’s society, it’s almost impossible to even get by without a cell phone. This is even more so the case for people who are on the lookout for job opportunities. Since the poor are always worrying about when and how they will secure their next meal, they simply cannot afford a cell phone or the expensive service that comes attached to it. This is why the Lifeline program is working with telecom providers to give low income Iowa residents another tool to fight off poverty. Equipped with a free cell phone and 250 minutes every month, you’ll find it much easier to keep in touch with employers, your children and, if need be, essential emergency services.